I am so excited to have this guest post for you. Not only does Chung-Ah have a wide variety of amazing recipes on her blog, she is such a supportive blogger friend. She is always going out of her way to encourage and was quick to agree to help me out during my move. Just one click onto Damn Delicious and you’ll quickly be hooked by her amazingly creative dishes like pancetta mac and cheese grilled cheese (oh yeah! ), Asian-style cobb salad, or garlic-truffle fries. I have been following Chung-Ah for a while now and I have loved seeing her blog transform into the success that it has become. You will love this girl! Before we get to these amazing mocha-java milkshakes – don’t forget to enter my blog anniversary giveaway: enter to win a Calphalon XL Digital Convection Oven. Hi everyone! It’s Chung-Ah from Damn Delicious. I have the huge honor of guest posting for Cassie as she is settling in into her new home. We’ve become blogging friends over the last year and I am so glad to have virtually met her through our blogs. She was actually one of the first blogs that I began to follow, drooling over her amazing buffalo/Greek yogurt/sandwiches posts. So yeah, you could imagine me doing the happy dance when I got that email from Cassie to guest post for her. 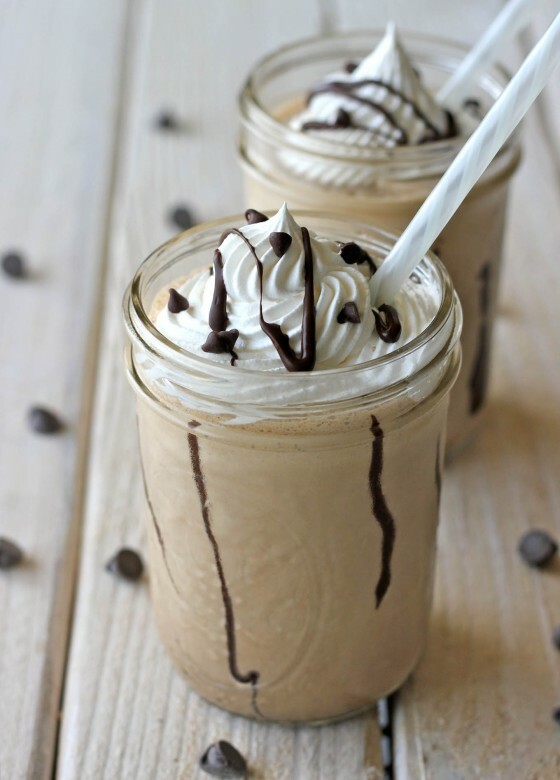 With that said, I bring you my favorite milkshake of all – mocha-java milkshakes. With a couple of key ingredients like Dutch-processed cocoa powder and cinnamon, this milkshake will knock your socks off, leaving you wanting more and more. I bought a half a gallon of coffee ice cream for this but it was gone in a day and a half making this! So yes, please do double the recipe because one serving per person is really not enough. 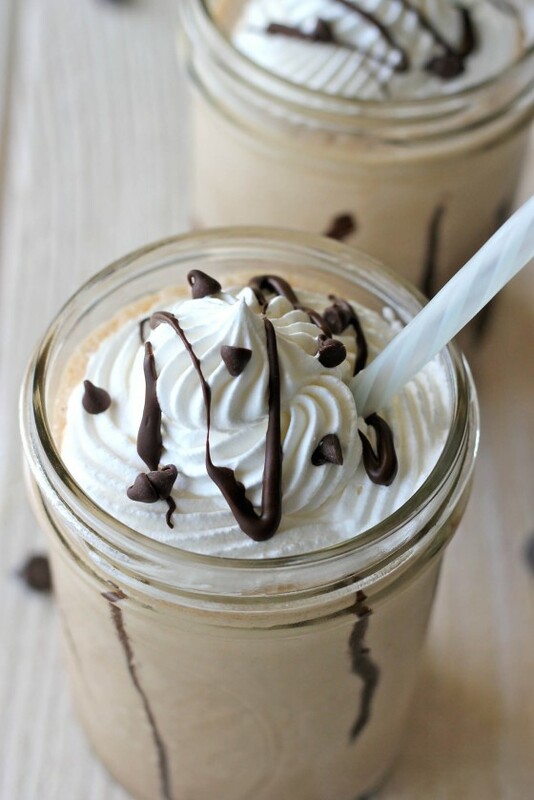 Simple, sweet coffee-inspired milkshake recipe. Combine coffee ice cream, cocoa powder, cinnamon, coffee and milk in blender until smooth. Pour into glasses and serve, garnished with whipped cream and melted chocolate, if desired. Recipe by Chung-Ah Rhee of Damn Delicious. Okay, so these babies are happening at my house. SOON! YUM! I want to dive head first into one of these!!! Coffee + chocolate is one of my favorite flavor combos!!! Hi Chung-Ah! Great post! This sounds like an amazing milkshake! I hope things are going OK with getting settled in Cassie! Great post!! I’m having oh so fond cravings for an Arby’s jamocha shake. LOVE the idea of making it at home instead. Great post Chung-Ah! Mmmm, this sounds wonderful. Beautiful photos, Chung-Ah! I need this asap this morning! Sounds to die for and it would make Monday SO much better!!! This is just what I need on Monday! It’s great to see Chung-Ah here! She’s one of my favorite bloggers and is a wonderful friend. This milkshake looks to die for. Yep. Sign me up for 2- one for now and one for later! Great post, I am looking forward to trying this very soon! Ooooo, love those little chocolate stripes. Must try! These look insane, Cassie! Such a yummy chocolatey treat! Oh Chung-Ah this sounds amazing. I love coffee milkshakes!!! Gorgeous photos too! I love a good milkshake like this. Yum! I’m afraid you may have just created a monster. I could drink one of these puppies every day!!! Perfect photography & even better flavors 🙂 Chung-Ah + Cassie… great tagteam! Oh my goodness these look perfect!! Another great recipe from that girl! Love th Chung-Ah!!! 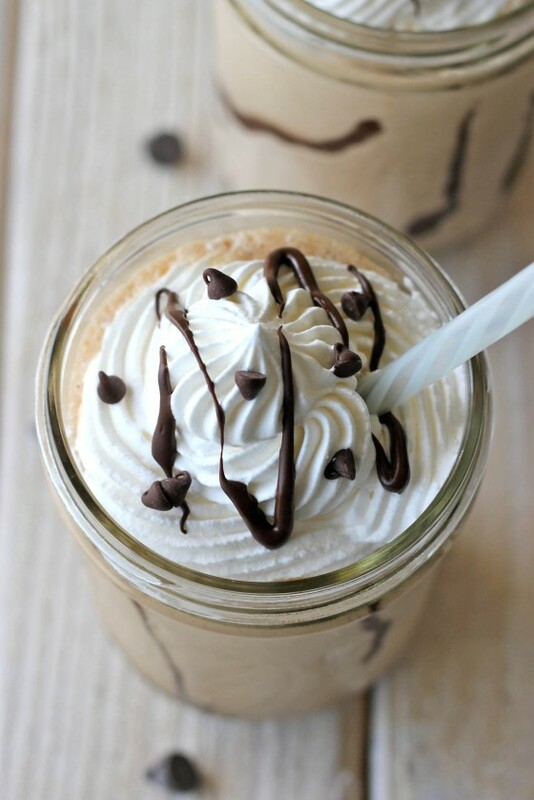 These milkshakes are perfect for breakfast, can”t wait to try! Yum, these are my kind of milkshakes! Great guest post! Oh, man, if only I had some coffee ice cream on hand right now! Can’t wait to try these real soon! Thanks for the recipe Chung-Ah! Love both of you ladies – glad to see you teaming up today 🙂 These milkshakes look amazing, Chung-Ah! I love when I can get my #shotofcoffee in milkshake form! Drool, drool, MAJOR drool. I need these in my life. Like every day. I’d do extra on the treadmill for them and everything! I need a sip of this… Oh not, wait – I need one full glass of this. Lovely! Good Luck on the move Cassie, can’t wait to see an update! Holy moly, girl, these are totally happening very soon! Gorgeous milkshakes! Chung-Ah is so creative, and such a sweet person, glad to see her guest posting for you! These look so good.. I am so making these soon. My kids will love these. Totally happening! What a wonderful wonderful milkshake! I adore Chung-Ah! Her photography is so inspiring! With just one look at that milkshake – I added damndelicious to my favorites bar! I can’t wait to try these! Great guest post! I would love to have one of these milkshakes right now! Coffee ice cream is one of my favorites. Hope the move is going well for you! I haven’t had a milkshake in years which is a tragedy. This looks perfect! I don’t even like coffee but when there’s ice cream involved, I do. Love the topping, too! 🙂 Super guest post, Chung-Ah! This looks so yummy! I love coffee ice cream. I mentioned your recipe on my recent post. I made a roasted strawberry and rhubarb milkshake and it was delicious. Thanks for the inspiration!